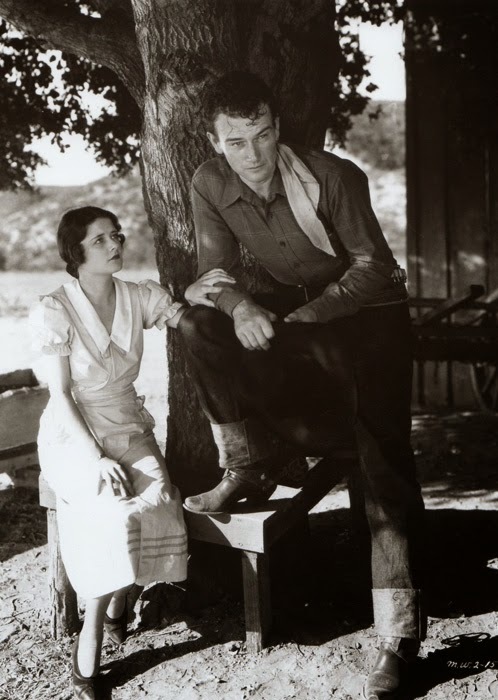 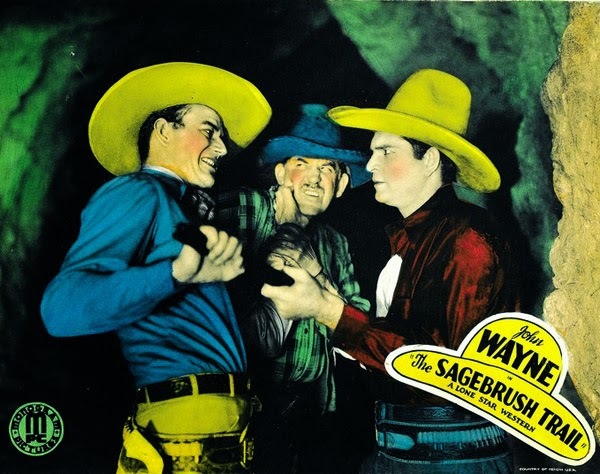 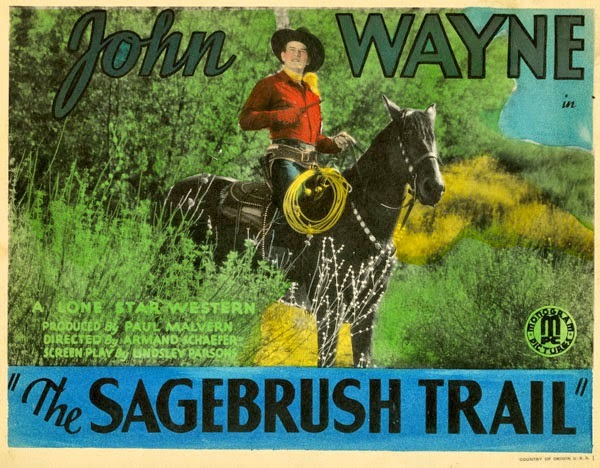 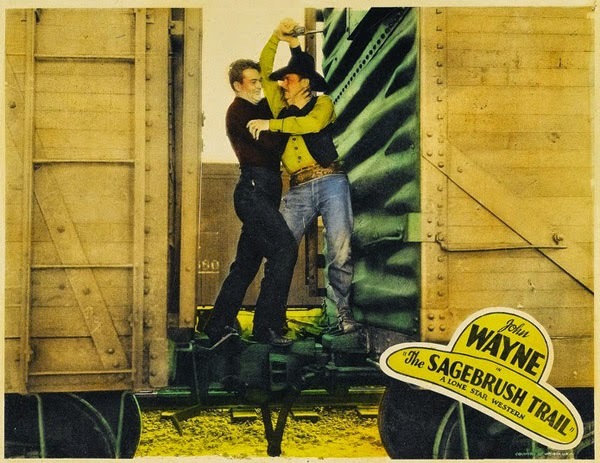 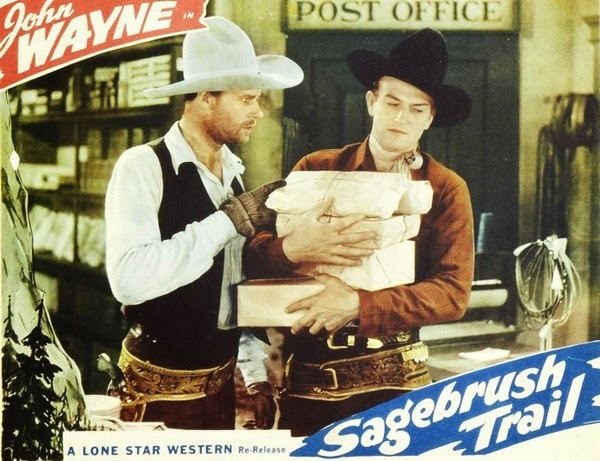 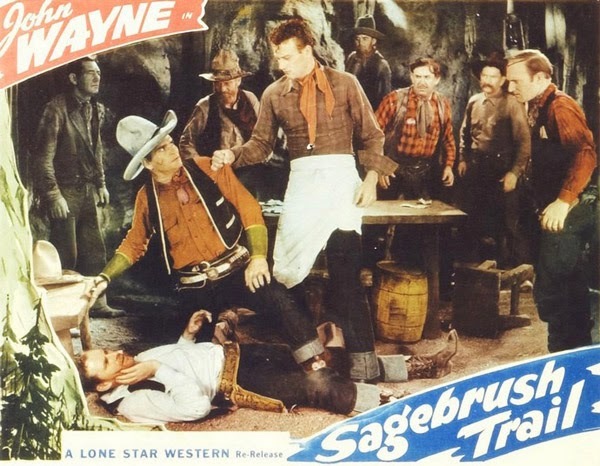 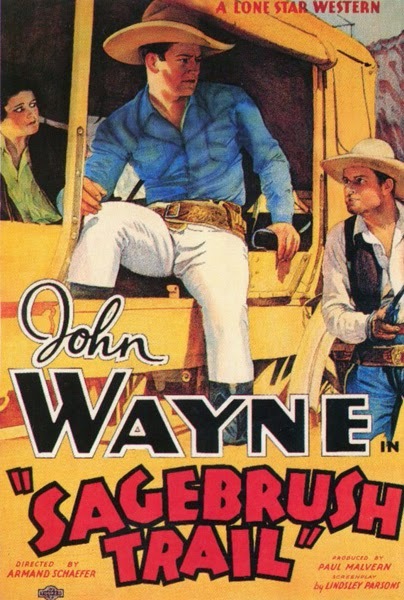 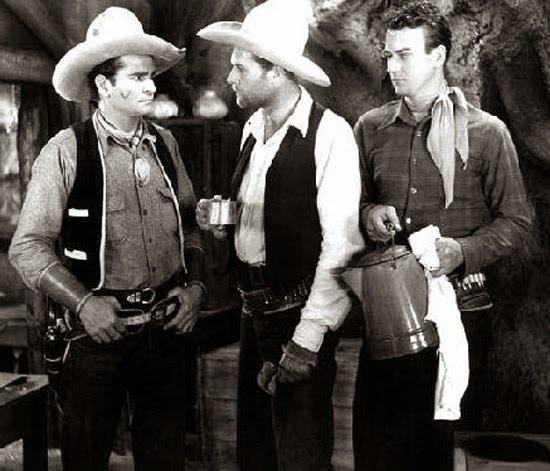 Directed by Armand Schaefer, Sagebrush Trail (1933) was an early John Wayne performance filmed for Monogram Pictures. 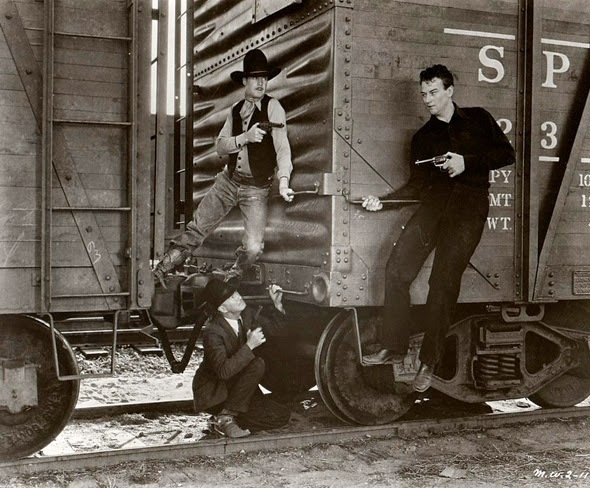 A standard Hollywood Western tale, full of action, the story concerns a falsely charged outlaw on the run and hiding out with a gang. 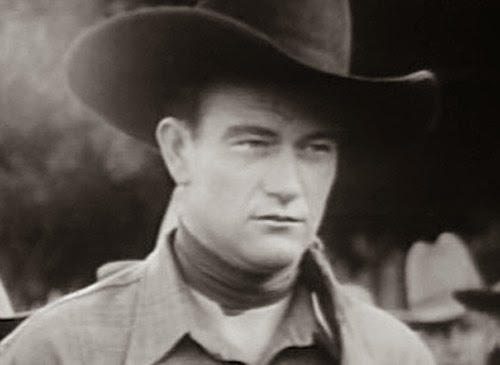 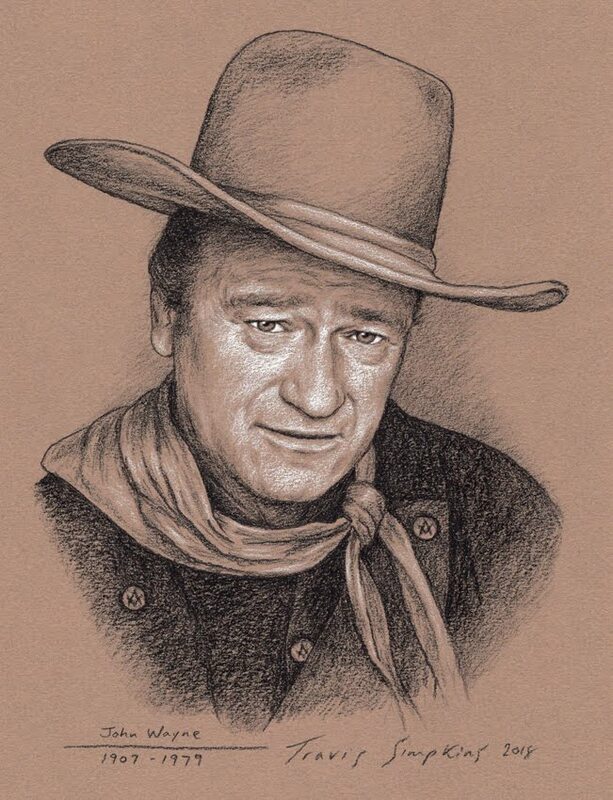 John Wayne is young and forceful in his role. 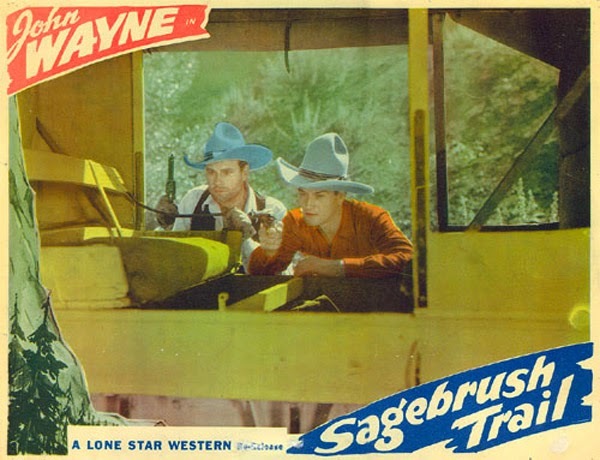 The rest of the cast is fine as well, including Nancy Shubert and Lane Chandler.